Anna turned as a man stepped out of the shadows near the door and approached her, two drinks in hand. Unable to hold back her smile, she beamed as brightly as the city below, still struggling to believe that all of her dreams had somehow become real. Under a Texas Sky is an original mix of old hollywood glamor and the harshness of West Texas. Sometimes you pick up a book, having little knowledge about the author or really what the book is about. I mean the synopsis is just a snippet of what if found within these pages. I was beyond surprised to find myself turning page after page falling more in love with each character. In Under a Texas Sky we meet Ann Finnegan a young girl trying to survive in Chicago, her parents are gone and she's torn between stealing food and starving. Fate steps in and Ann finds herself on the stage, acting has stolen her soul and she loves it more than anything. It's 1932 and Ann finds herself thrown into her first movie and into the small down of Redstone Texas. Fate has a way of handing you what you never knew was missing, in walks Dalton Barnes. In the dark and silence of her dingy bedroom, Anna pulled one of the other apples she’d stolen from her coat, one of the two she’d managed to keep hidden from her brother, and took a ravenous bite. I’m going to be somebody. 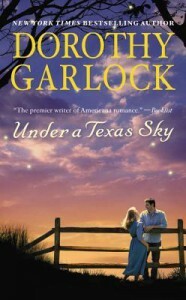 What I loved about how Under a Texas Sky was written was the feeling for coming full circle. We meet Ann at a low point in her life, she's hit rock bottom and she makes a choice to do what's needed to survive. It's a powerful heart wrenching moment which leads us to understand her character on such a deep level. 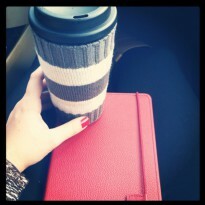 She's strong, has a great heart but above everything else understands the everyday person. I was fascinated by how Ms. Garlock was able to create such a likable heroine. Dalton, he's a blacksmith who grew up fixing the messes his father left in the wake of a devastating gambling problem. He's torn between the love for his father and the hurt and anger he's caused with his addiction. Then there's Walter, Dalton's best friend who happens to be mute and their friendship is something I loved reading about. It added this depth to Daltons hard honed exterior, plus Walter was never afraid to tell Dalton how he felt or give him some advice about what Dalton was doing wrong with regards to Ann. The movie set is filled with interesting characters as well: The aging actress who is jealous of the new and upcoming star. The male costar who's never be denied his advances before. The old time actor who's seasoned and honed his craft but his acting career may be coming to an end. The Villain, who at every turn has his heart set on making money and never thinks about the cost to those involved. Under a Texas Sky is layered with character you can relate to. Some more than others. I found the mix of Old Hollywood with the back drop of this struggling West Texas town very fascinating. I've never read a book that mixed these town before, I was captivated right away. What I didn't expect was a little mystery intertwined with this story. You see someone is sabotaging the movie set, but we don't know who it is and till the end, I still was wrong about who the person was. That was just fun! Ms. Garlock gives us details about everything involved in making a movie in 1933, Hollywood movie reporters are lurking around the saloon. Down to how the costume designs are put together and altered. Such details we're not too much but added to the feeling of being in the town of Redstone. The ending was not what I expected in a very good way. To be honest, I expected Ann to give up her career for Dalton, to stay in Redstone and have a family. In the end, Dalton followed Ann's dreams and her to Hollywood. It was simply beautiful the way he faced every uncomfortable moment to be by her side. In conclusion... I was pleasantly surprised with Under a Texas Sky. Rich characters, moving story and a romance that tugged at your heart. All with the back ground of this harsh Texas land. As the reader you were taking into Old Hollywood a place filled with mystery and intrigue. In the end it was the relationships that made this book so good. This being my first book by Ms. Garlock, I look forward to reading more of her works. Every moment that Anna spent with Dalton felt better than the last. Listening to the sound of his voice, looking up at his smile as she wrapped herself in his arms, even lying in bed and feeling the rise and fall of his chest as he slept, everything about him enchanted her. Sometimes she felt as if he was a matinee idol and she was the swooning fan. ARC by Grand Central publishing via NetGalley in exchange for an honest review.